Sr. 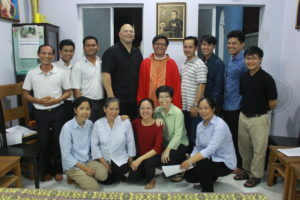 Hang Pham, ASC and four Sojourners in training with the Adorers of the Blood of Christ joined the Miissionaries of the Precious Blood at St. Gaspar House of Discernment to celebrate the Feast of St. Gaspar on October 21st. 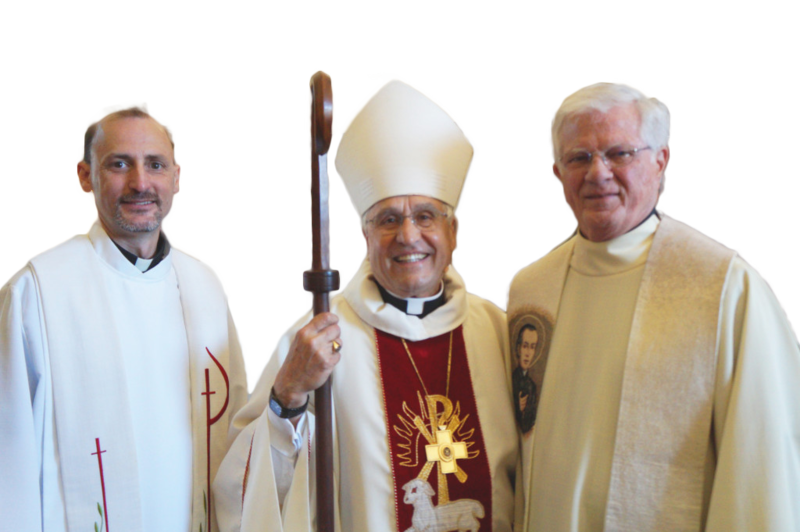 Together we commemorated the 25th Anniversary of the deaths of the ASC sisters who were martyred in Liberia through a special Eucharist dedicated to remembering them and the sacrifices they made. Sr. 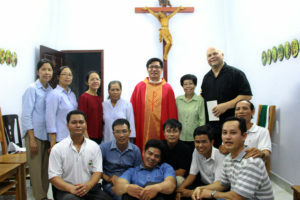 Hang presented an informative and inspirational history of their legacies before Mass started. 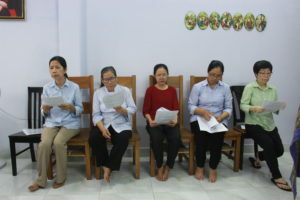 Sisters Barbara Ann, Mary Joel, Kathleen, Agnes and Shirley were dedicated religious women whose witness continues to inspire us here in our mission in Vietnam. We admire their dedication to and solidarity with the poor and we too want to imitate their wonderful example. 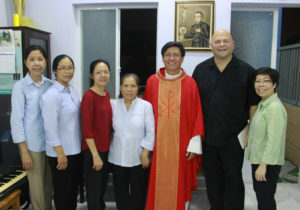 Following the celebration of Eucharist, we all enjoyed fellowship with each other around the dinner table.